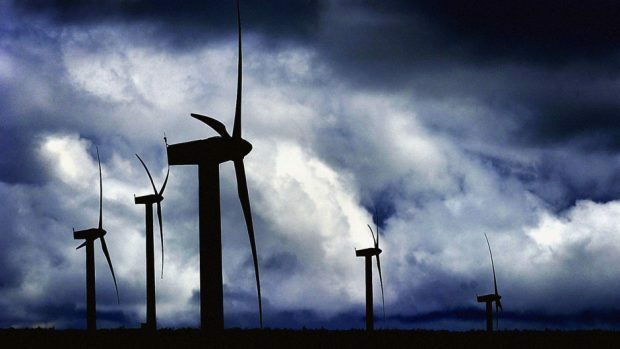 Government officials have been told they must not allow the expansion of a Speyside windfarm for fear it would have a catastrophic impact upon some of Moray’s finest landscapes. The authority’s planning officers have objected to proposals that would see seven new turbines, each 500 feet tall, erected to the east of Paul’s Hill. A windfarm has been in operation on the Ballindalloch site since 2006, with 28 turbines generating energy for Fred Olson Renewables. And the energy giant has now lodged plans with the Scottish Government for Paul’s Hill II, with the extension to be sited on the hills of Carn-na-Dubh-chlais, west of Knockando. Due to the size of the development, the proposals were submitted directly to the Scottish Government, with Moray Council invited to put forward a consultation response to ministers. The Ministry of Defence has already objected to the plan as it believes the turbines could disrupt military radar at Scotland’s most vital airbase. RAF Lossiemouth is the UK’s first line of defence against air incursion by foreign powers – and the Russians in particular – and is being readied to become home to a new wing of P-8A Poseidon maritime patrol aircraft. Now Moray Council planning officials have recommended to elected members on the planning committee that they lodge a second official objection. They believe the expansion will cause unacceptable landscape and visual impacts, given the position and height of the proposed turbines. Roy’s Hill – a local landmark – would also be detrimentally affected, according to planners, as the turbines would “diminish its distinctiveness” in the landscape. Despite the concerns raised by planners and the MoD, fellow consultees Historic Environment Scotland and Mountaineering Scotland have offered no challenges to the proposals. Moray Council’s planning committee will be expected to make a decision about whether to object today, with the Scottish Government then having the final say on whether the plans will go ahead. Fred Olson Renewables are also in the early stages of planning for up to 29 turbines, each more than 700ft tall, as part of the Rothes III development, north of Archiestown. Speyside Glenlivet councillor Derek Ross who campaigned successfully against the Brown Muir wind farm near Rothes fully endorsed the objection. He said: “We are at saturation point with wind farms and this one is going to affect businesses depending on the wild landscapes up here. “This one is close to encroaching onto Spey Valley which is a jewel in the crown for Moray and another key thing is that it encroaches Roys Hill which is another local landmark. “Coating the hills in windfarms is suicide for tourism, people come here for the landscapes and these turbines will become some of the largest in Scotland.